Time and place: Thursdays 9:45--11:20, Main building of UP. September 7. Lecture 1. 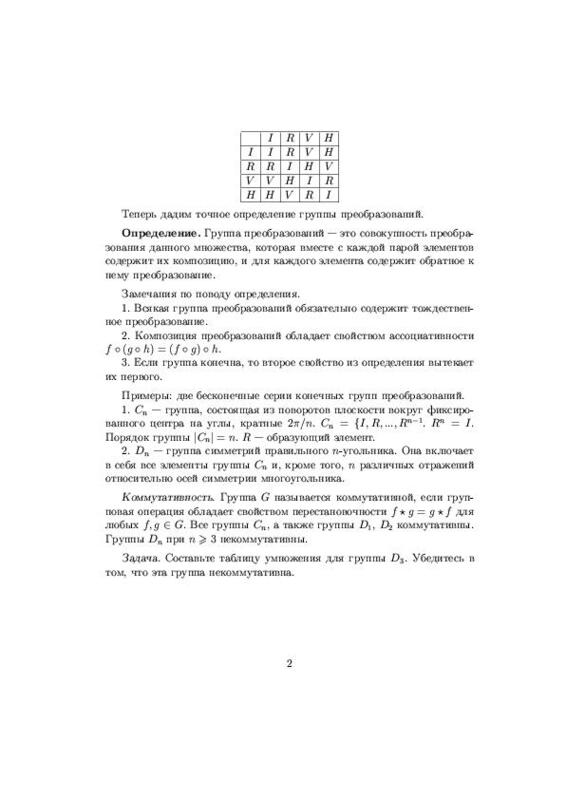 Transformation groups: TeX file, PostScript, JPEG: page 1, page 2. September 14. Lecture 2. 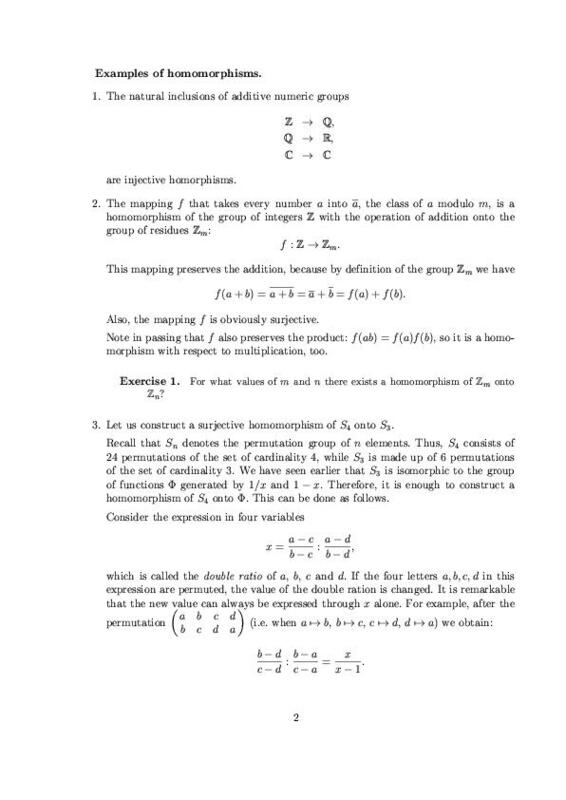 General notion of a group: TeX file, PostScript, JPEG: page 1. page 2, page 3. September 21. Lecture 3. 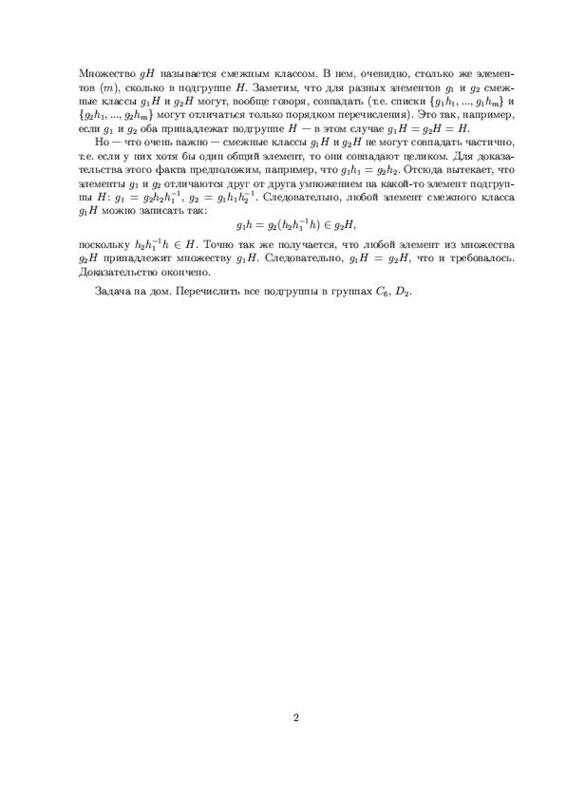 The Lagrange theorem: TeX file, PostScript, JPEG: page 1. page 2. September 28. Lecture 4. Generators. Isomorphism: TeX file. October 5. Lecture 5. Permutations. Cayley theorem. October 12. 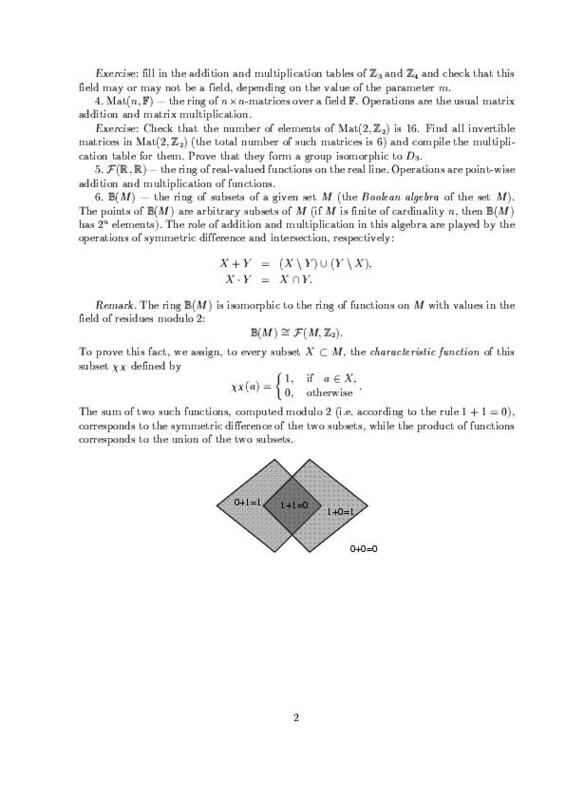 Test on group theory. Variant 1, Variant 2. October 19. Discussion of test problems. October 26. Lecture 6. 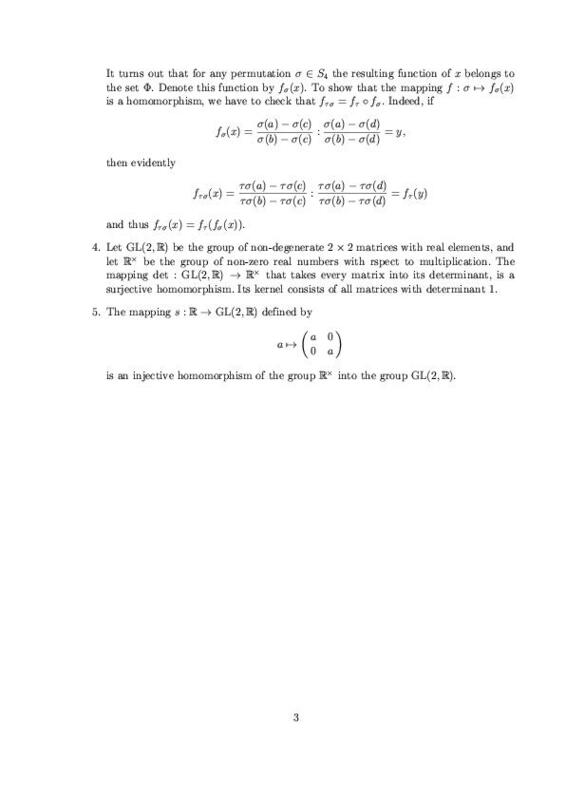 Homomorphism and quotient groups. 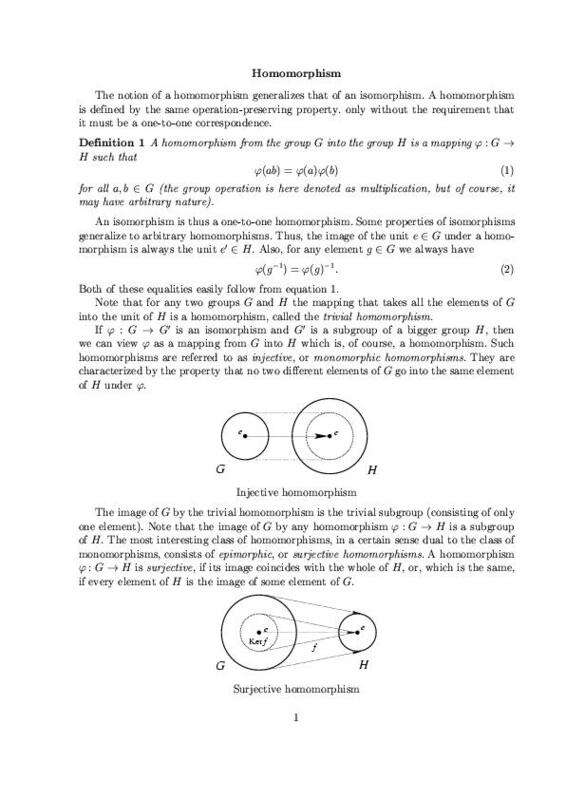 (Notes about homomorphisms (in English): Page 1, Page 2, Page 3). November 9. Lecture 8. 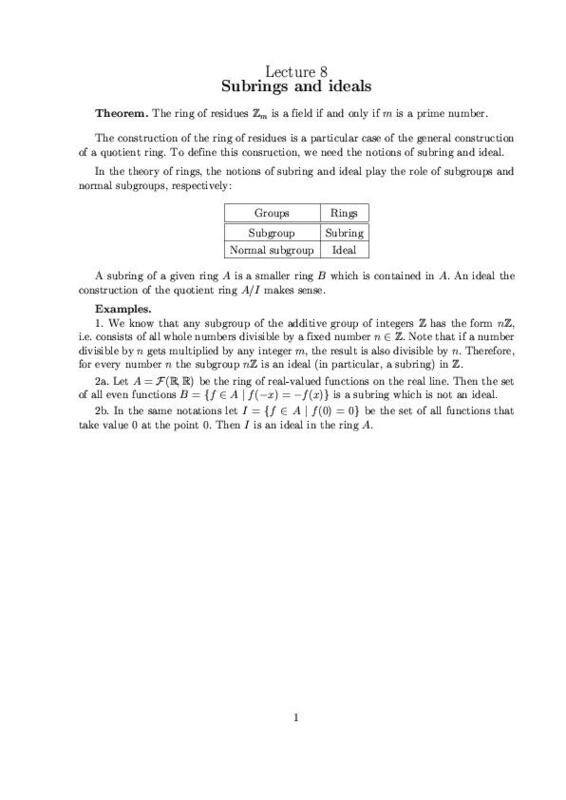 Subring, ideal, quotient ring. JPEG, PostScript (in English). November 16. Lecture 9. Finite fields. November 23. 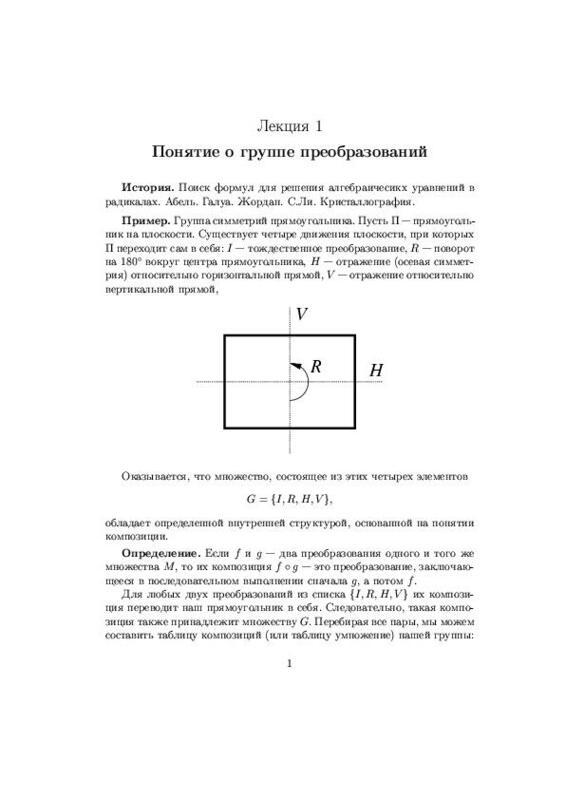 Lecture 10. 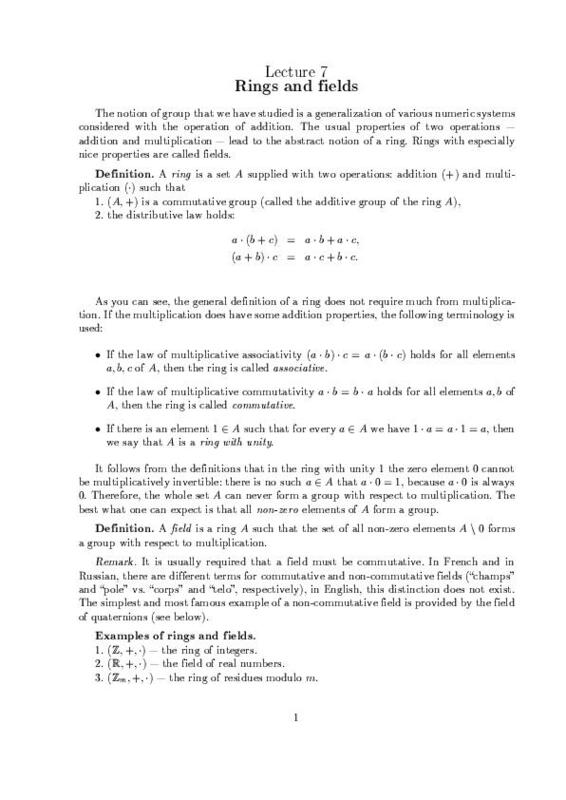 Finite-dimensional algebras over the real numbes.